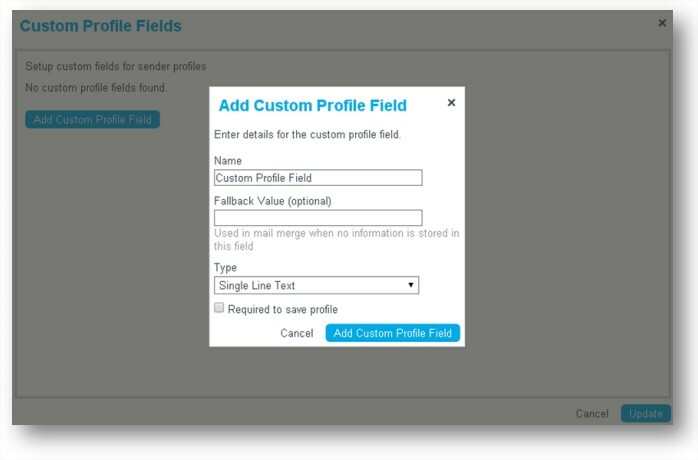 You can now create additional custom profile fields to store additional data for sender profiles. All fields have also been reorganized into tabs. Custom profile fields can be useful when personalizing campaigns. Locate the Custom Profile Fields setting in Settings > Email > Profile. Optionally enter a fallback value for the custom profile field. This fallback value will be used in mail merges if no other information is stored for the field by a user. 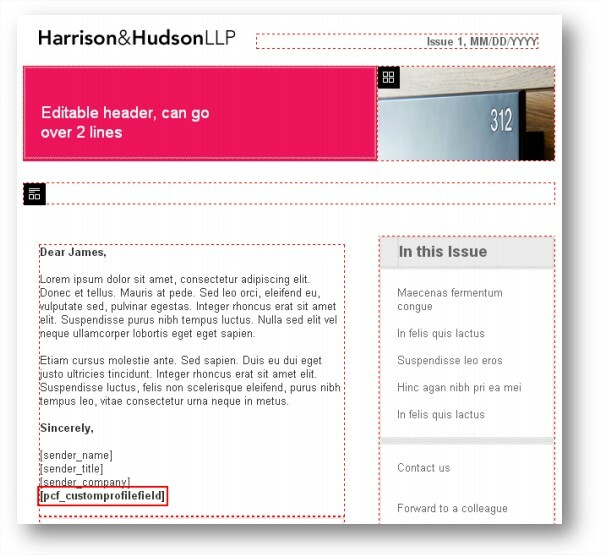 To locate your custom field to add into your campaign click Insert > Profile Fields > Custom Fields in the editor toolbar.